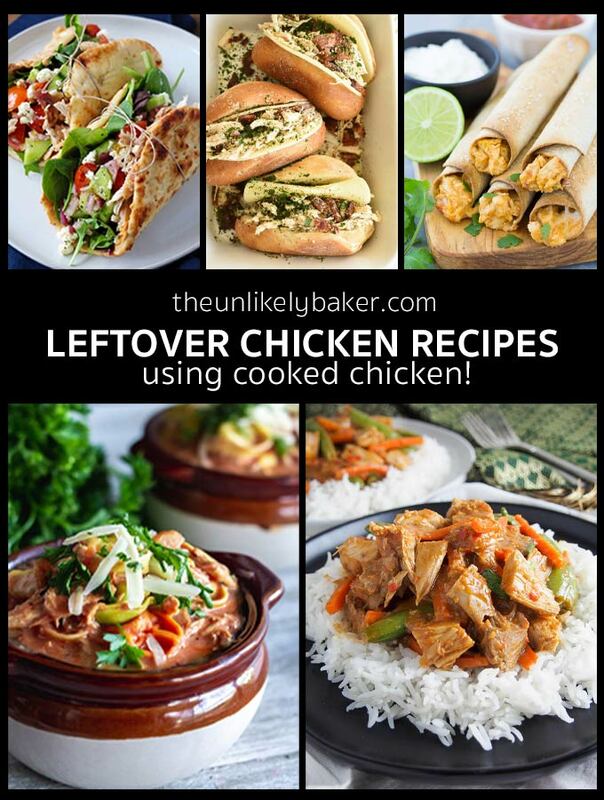 Easy leftover chicken recipes that will make you want to have chicken leftovers all the time! 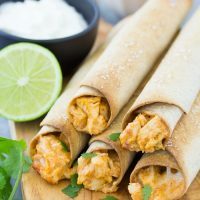 From comfort food favourites like chicken salad and chicken noodle soup to creative chicken recipes like chicken spaghetti and chicken taquitos, you’ll find the best recipes for leftover chicken here. Did you buy a whole rotisserie chicken and now have parts of chicken left that nobody wants to eat anymore? Do you have a lone chicken breast sitting in the fridge that you don’t know what to do with? Our recipe roundup this quarter is all about what you can do with leftover chicken. And the recipes are so delicious you might just want to have chicken leftovers all the time! 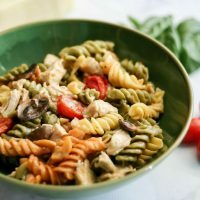 What are some good leftover recipes for chicken that is already cooked? If you bought rotisserie chicken and don’t know what to do with leftovers. If you’re meal planning for the week. 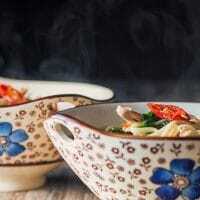 If you’re thinking of quick and easy dinners for the family.Here are easy chicken leftover recipes everybody will enjoy. 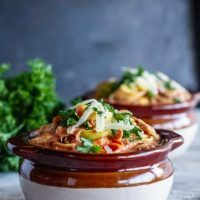 Creamy chicken spaghetti – thick, creamy tomato sauce and your favourite rotisserie chicken come together in this delicious chicken pasta recipe. 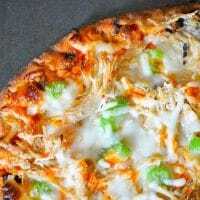 This buffalo chicken flatbread pizza is perfect for a quick, yummy lunch and a great recipe for using leftover cooked chicken. 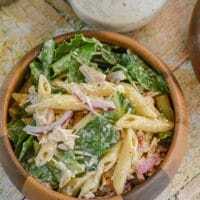 A quick and easy side, this yummy hybrid combines your favourite classic caesar salad with a yummy pasta dish. 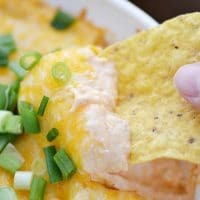 This creamy chicken dip is loaded with rotisserie chicken, making it an easy and filling snack option that the crowd will love! 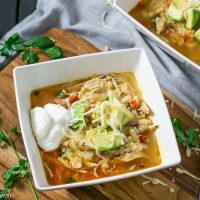 A delicious way to use up that leftover rotisserie or cooked chicken - try this hearty and comforting chicken chili with white beans and jalapeno, all dressed up with sour cream, cheese and avocado. 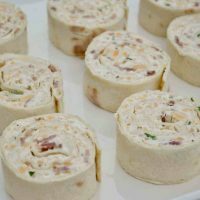 The ultimate make-ahead party appetizer, chicken bacon ranch pinwheels are super easy to make and such a crowd pleaser. 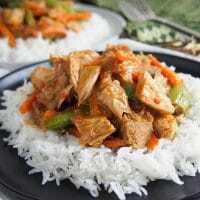 A great way to use up leftover meat, this Thai red curry is packed with flavor. 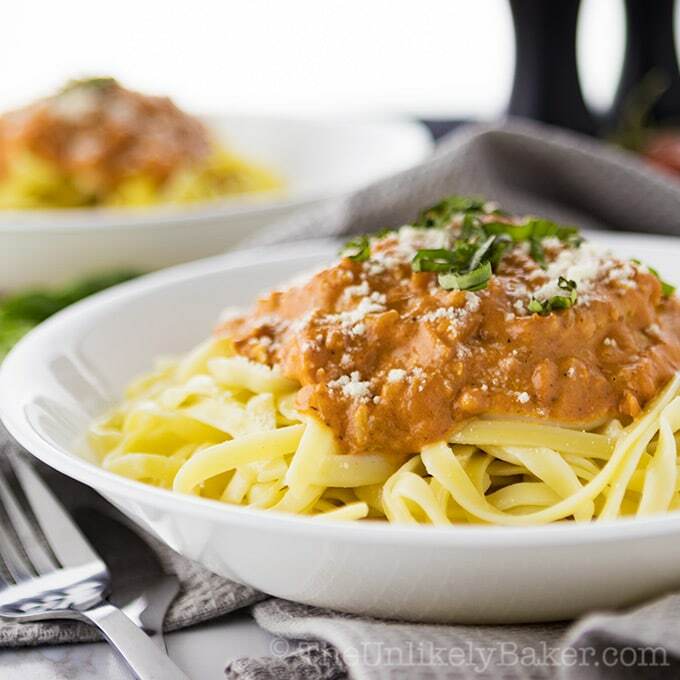 The homemade sauce is easier than you might think. 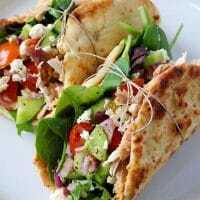 An easy chicken wrap recipe you can throw together in just 15 minutes for a quick & healthy dinner or lunch. 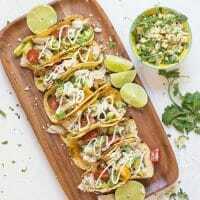 Easy tacos made using rotisserie chicken tossed in fresh herbs and spices! 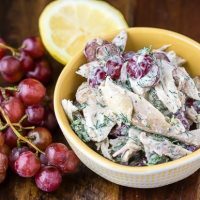 The easiest chicken salad recipe you’ll ever find. 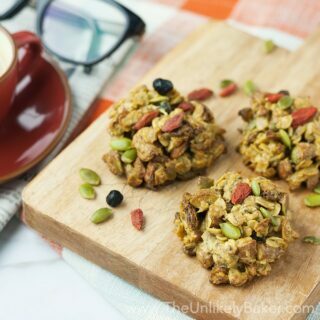 Dairy-free, paleo, Whole30. 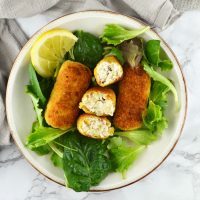 These delicious chicken croquettes are made with ricotta cheese, lemon and thyme making them lovely and light on the inside and nice and crispy on the outside. Got some leftover BBQ chicken? 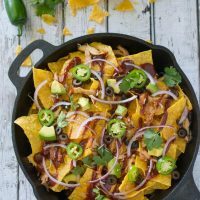 These skillet BBQ chicken nachos are perfect for a “dinner and a movie” night in! 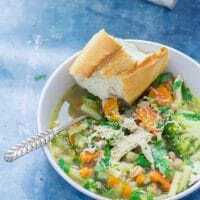 This chicken vegetable soup is a filling and tasty dinner perfect for cold evenings. Serve with some crusty bread and a sprinkling of parmesan. 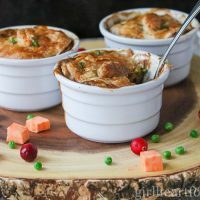 Using leftover chicken, this easy chicken pot pie recipe requires very little prep, but is oh-so-comforting! 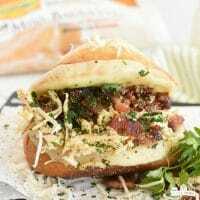 Sandwiches can be so middle of the road, but there’s nothing boring about Italian chicken bacon sandwiches! Crispy baked chicken taquitos with a chicken and cheese filling. These taquitos are freezer friendly for quick dinners! The whole family will love them! This easy, one-pot, rich and comforting creamy chicken tomato tortellini soup is full of hearty goodness. 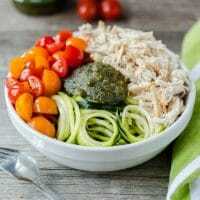 This pesto chicken zoodle bowl recipe, made with zucchini noodles, is gluten free and Whole30 when made with compliant pesto. One pot creamy chicken gnocchi - super quick comfort food all in one pot! Leftover chicken & quick cooking veg means dinner in 35 mins. 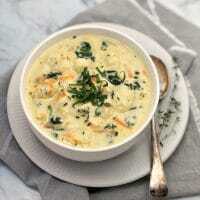 Nothing could be simpler than this Asian style chicken soup made with left over roast chicken. 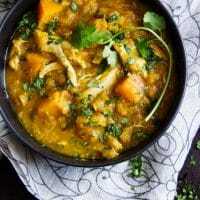 This curried chicken, squash and red lentil stew is low-fat, gluten free, dairy-free and absolutely delicious! 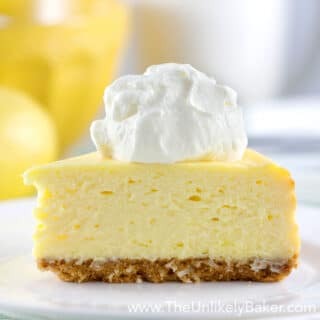 Plus you can make it with just 15 minutes of prep. So what can you make with leftover chicken? The answer is a lot. My grandma loves making chicken salad. I love making chicken spaghetti. And with the list above, we now know that there’s a whole world of delicious recipes for rotisserie, cooked and leftover chicken out there to explore! Who knew leftover chicken can be such an exciting adventure? Which of these easy leftover chicken recipes are you trying first? I’d love to hear from you in the comments section below. 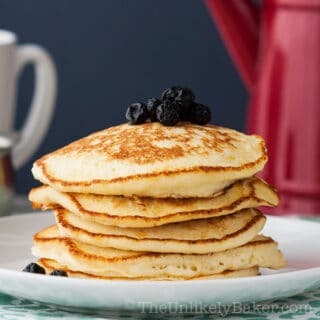 Do you like recipe collections? 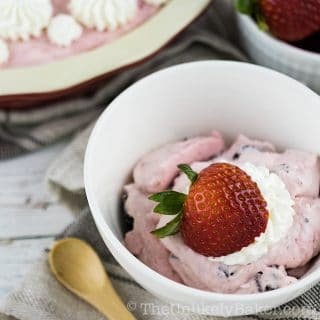 Check out all our recipe round-ups here and be sure to pin or bookmark them. They’re a great reference. 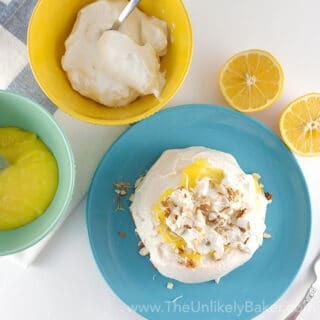 And if you ever want me to feature a specific ingredient you need help with, just let me know either by sending me a note through the contact form here on the blog or via the TUB Facebook page. I’m always happy to help! Also find me on Pinterest, Instagram, Twitter and Flipboard. I think rotisserie chicken is the best thing to come along since sliced bread. We love having it on hand and we pick it up at the store and it costs just about as much as buying a whole chicken and roasting it ourselves. Now I have more of an excuse to buy it — you got some delicious recipes here. That chicken gnocchi is calling to me. I agree with you! We always have rotisserie chicken, it’s such a lifesaver when we’re too lazy to cook anything. I always buy a rotisserie chicken when at Costco because there are so many things to make with cooked chicken. You have an awesome list here…..especially like those tacos and soup! Great roundup! 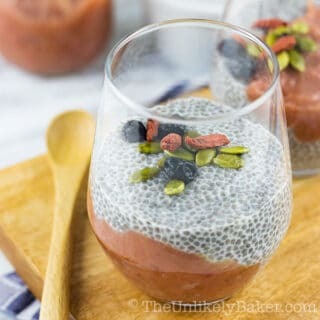 Everything in these recipes are delicious and the look is awesome. Love all of it. Love this round-up post. We always have chicken in the house. Saying that, finding great ways to use the leftovers is always a task. Lots of great things here. I love all the ideas. I love to make shredded chicken to use in recipes, so I’ll be sure to pin this for future use. My favorite I think is the pizza! You can never go wrong with pizza for my family. So many delicious recipes here. I want to try them all. Thank you!